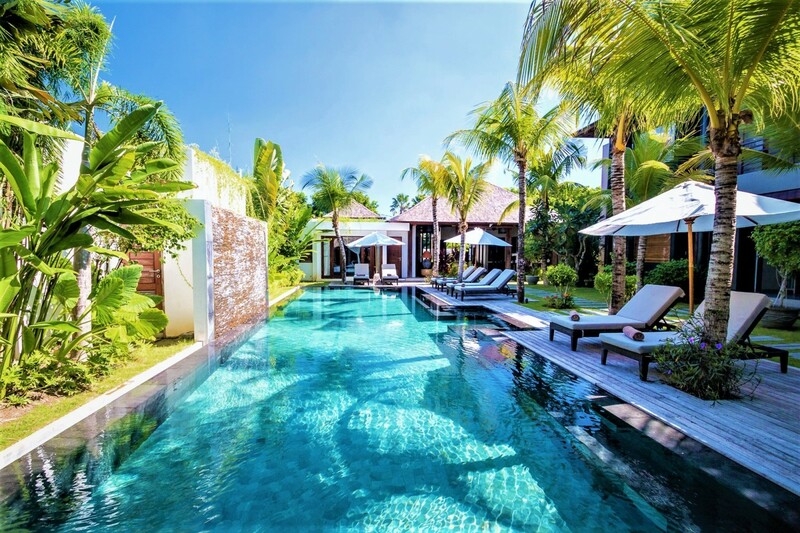 Welcome to Villa Abakoi, a six-bedroom luxury villa that is embedded in the majestic area of Seminyak, in Bali, Indonesia. This tropical utopia offers you an exceptional holiday amidst the vivacious tropical plants and the serene ambience this location provides. 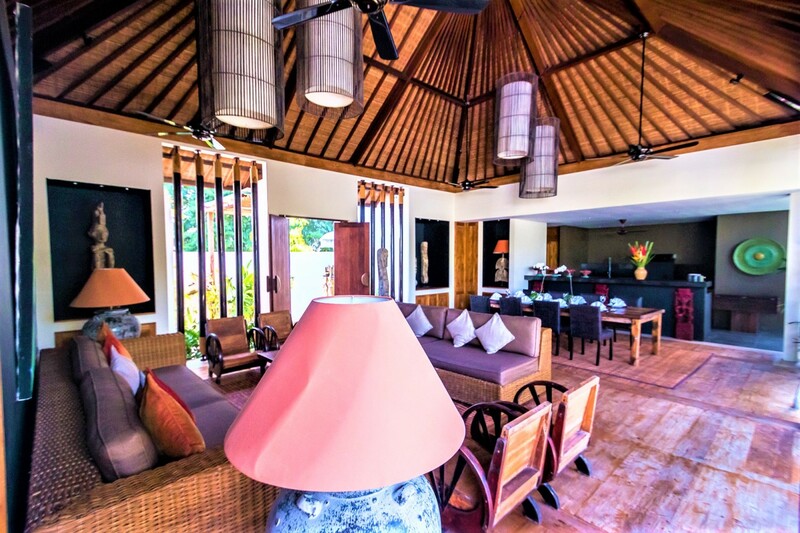 Villa Abakoi can accommodate up to fourteen guests, making it the ideal villa for you to bring all your loved ones. 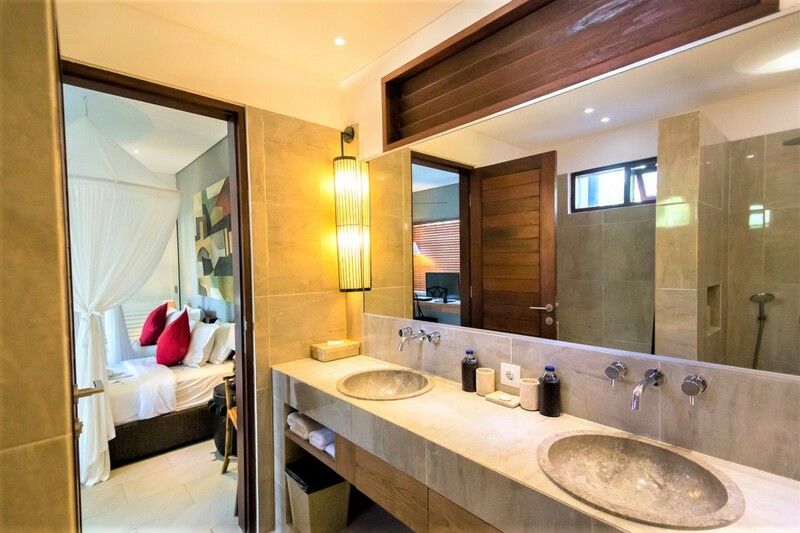 With six luxurious bedrooms, all en-suites, Villa Abakoi has an abundance of key features for you to indulge in such as a 16meter mirror swimming pool and enclosed landscaped gardens. 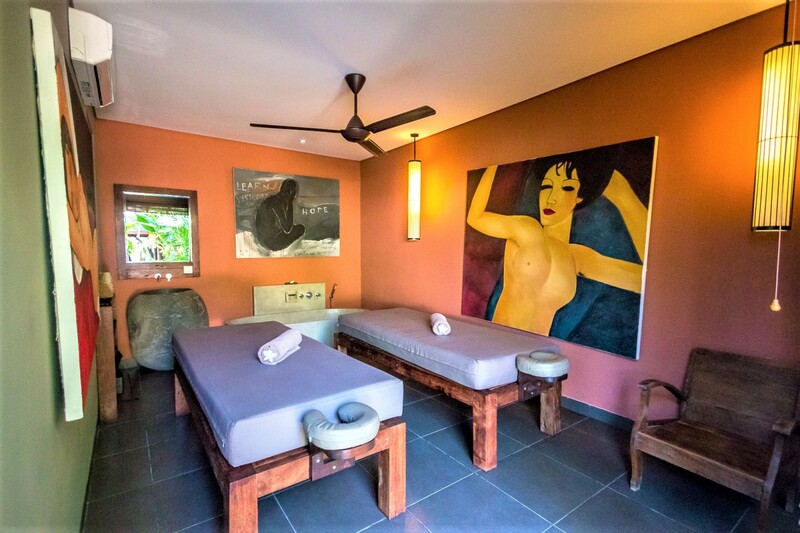 Let your stubborn stresses crumble away as you build new experiences and new levels of tranquility here in Bali. 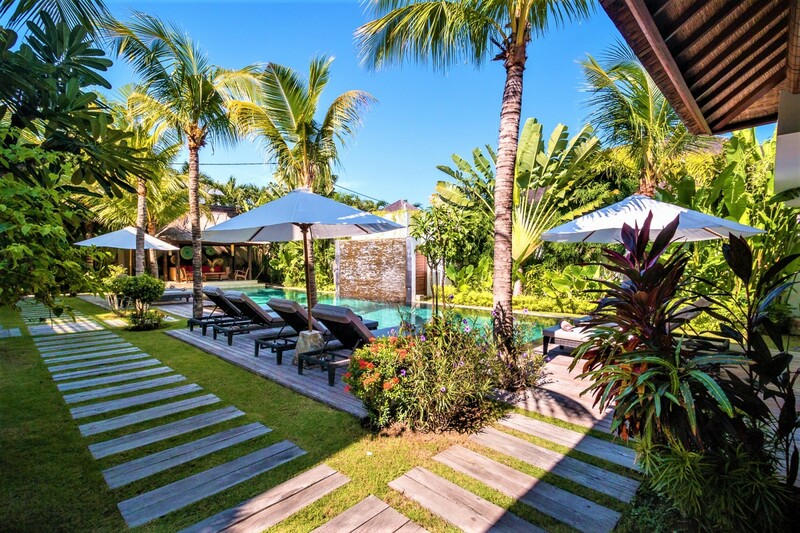 This traditionally designed estate is nestled into a serene tropical area full of lush gardens and colorful vegetation. The property spans across 700 sqm including both indoor and outdoor spaces. 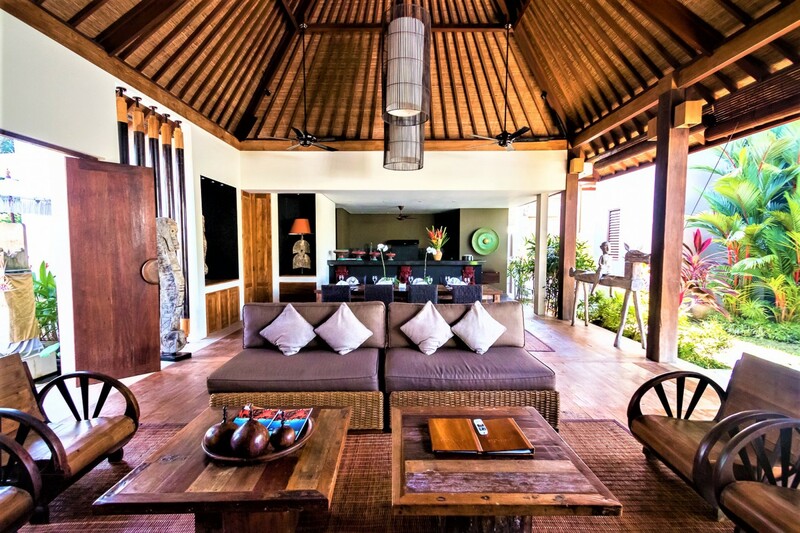 The Villa itself is built upon 350sqm of land, allowing for you to have your own space and peace of mind. Walk barefoot along the well maintained soft lawn. Each corner is intertwined with tropical plants such as coconuts, sweet-smelling frangipanis, and bougainvillaea. Allow yourself to indulge in this dreamlike garden area, a dream with you’re eyes open. Let your gaze rest upon the crystalline mirrored swimming pool with an effortless overflow. The pool has eight comfortable sun loungers dotted around its edge for you to lay underneath the suns warmth and soak in this tropical weather. If you wish to read a book from the library, then use one of the parasols to provide a soothing shade as you flick from one page to the next. There is also an extraordinary traditional Gazebo fitted with a comfortable sofa looking out onto the lush gardens. 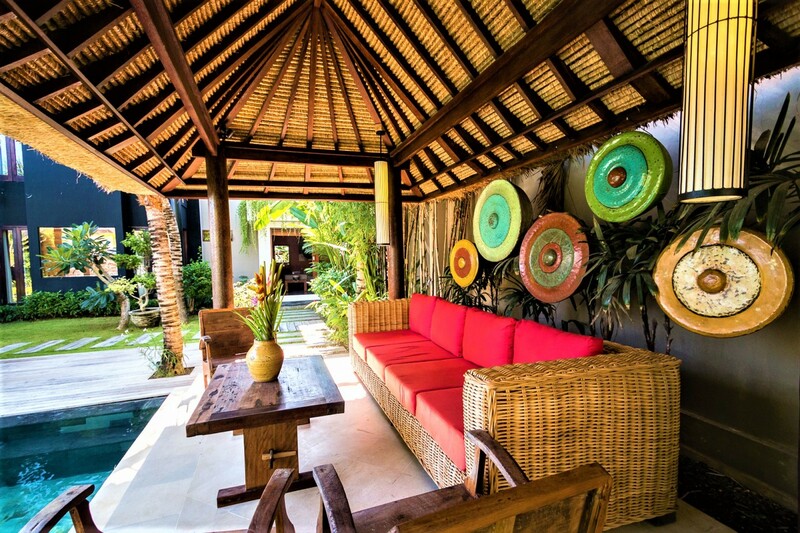 Once you open the front wooden gate of Villa Abakoi, you will be directly facing the open living area. Taking steps into your private living space, the open design follows a traditional pavilion styled interior with a pitched ylang-ylang roof. The open sides allow a profusion of light into the room. This space indulges in the finest details and luxuries with caramelized teak floors, a ceiling fan, antique rattan sofas and old Javanese armchairs. Sit back and put on your favorite song on the Sony sound system installed in this room. Towards the back of the room, there is a quaint walled garden with delicate lotus flowers balanced on the surface of the pond. 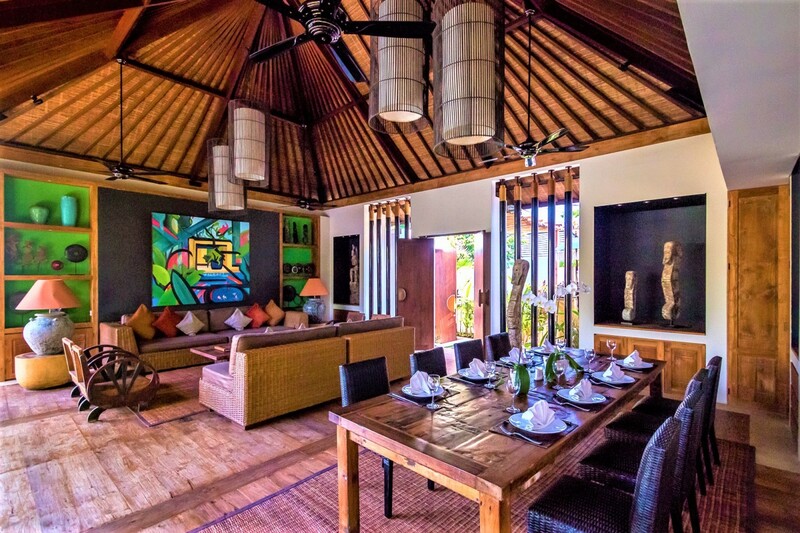 The room is decorated with a beautiful collection of Indonesian art which faces out towards the garden. The dining and kitchen area is also in this open space area. The large wooden dining table can seat eight to ten guests and rests on an authentic woven rug. Here you can enjoy your daily made breakfast as the cooling breezes flow in from the open doors leading out into the garden. The kitchen occupies a spacious area and is fully equipped for you to take advantage of. The strong granite counters, five-point stove and large 70 cm gas oven are perfect for you to try some new recipes or maybe make your all-time favorite dish. For the added hints of luxury, the kitchen also has a wine cooler and an ice-cold water dispenser. There is a small pantry around the corner of the kitchen as well as a Maid area and a guest bathroom. The master bedroom is situated off the open space living area. This comfortable space opens out onto the garden and gives you a direct view onto the glistening waters of the mirrored pool outside. The king-sized bed is decorated using a light canopy that drapes across the four wooden posts. The room is air-conditioned ensuring you a comfortable temperature as well as having a ceiling fan, a large fitted walk-in closet, mini bar, high-resolution television, DVD player and secure safe. 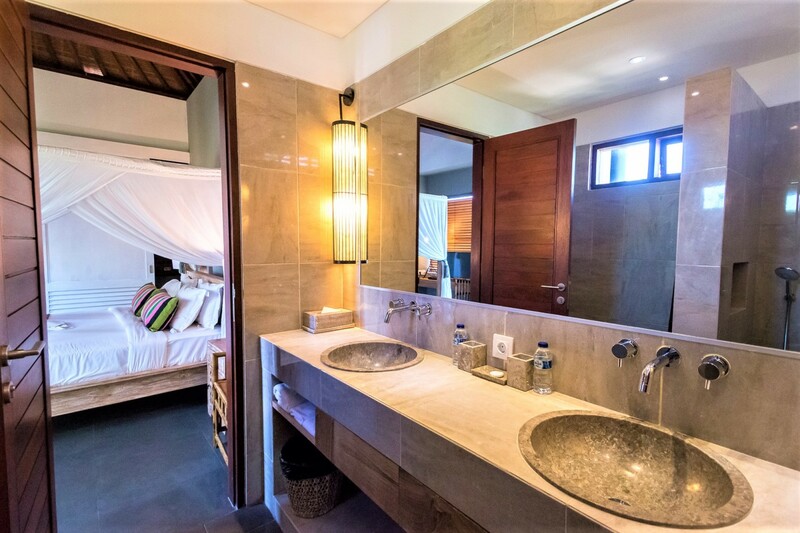 The bedrooms private en-suite bathroom has a luxurious bathtub, two wash basins, and an alfresco standalone rainfall shower. 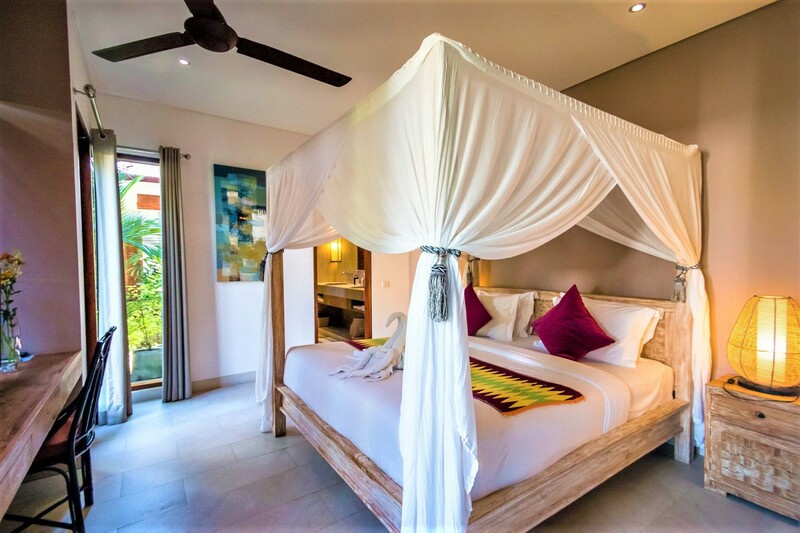 Walking down along the gardens you will also discover the Queen-sized bedroom and a twin bedroom (can be converted into a Queen-sized bed), both with private en-suites. This private pavilion also has one more bedroom. However, this bedroom is slightly different. There are two comfortable Queen-sized beds as well as two single beds that are built in like bunk beds, in a tiered effect. This bedroom has its own private en-suite and views. 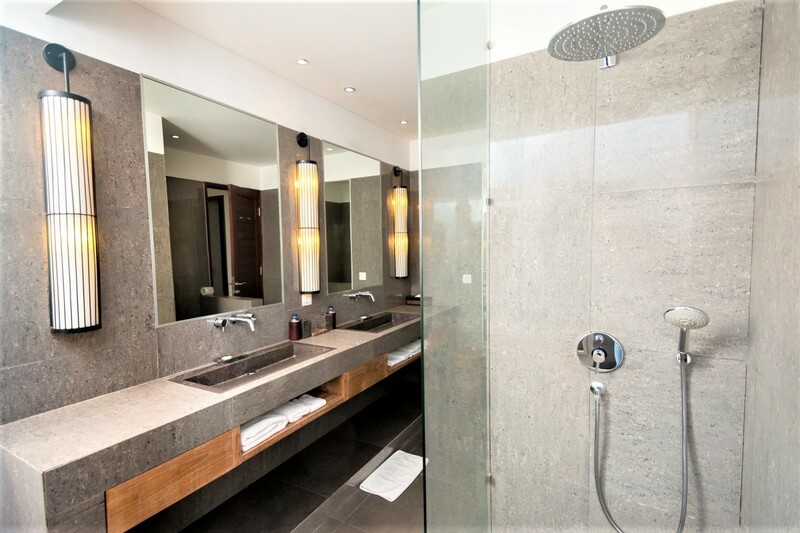 Each of these en-suites is fitted with alfresco standalone rainfall showers. All bedrooms are also completed with ceiling fans and air-conditioning, a high-resolution television, DVD player, luxurious canopies, mini-bars, and safes. Tiptoeing up onto the upper level you will find the remaining two bedrooms, which includes the second master suite and the guest bedroom. The master suite has a luxurious King-sized bed, 43" high-resolution television, DVD player, mini-safe, air conditioned and a ceiling fan. 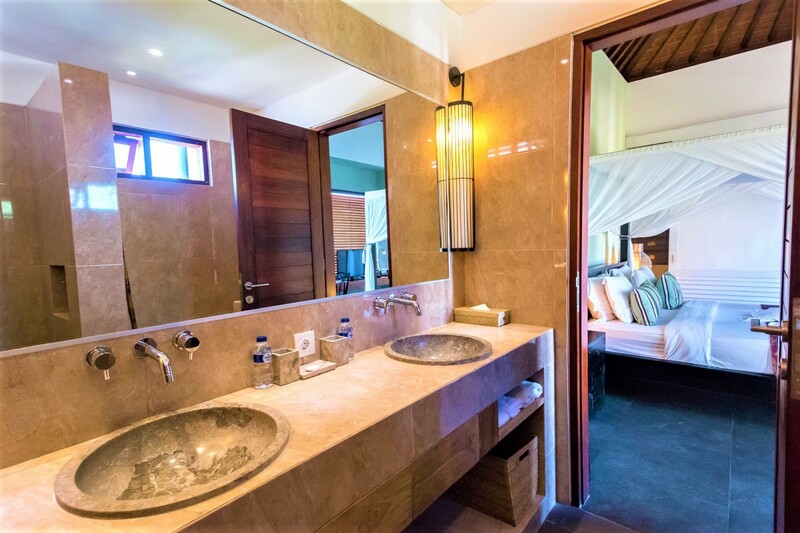 The private en-suite is completed with wash basins, a standalone alfresco rainfall shower, and a hairdryer. Each bedroom both on the ground level and the upper floor are all designed in a unique approach. 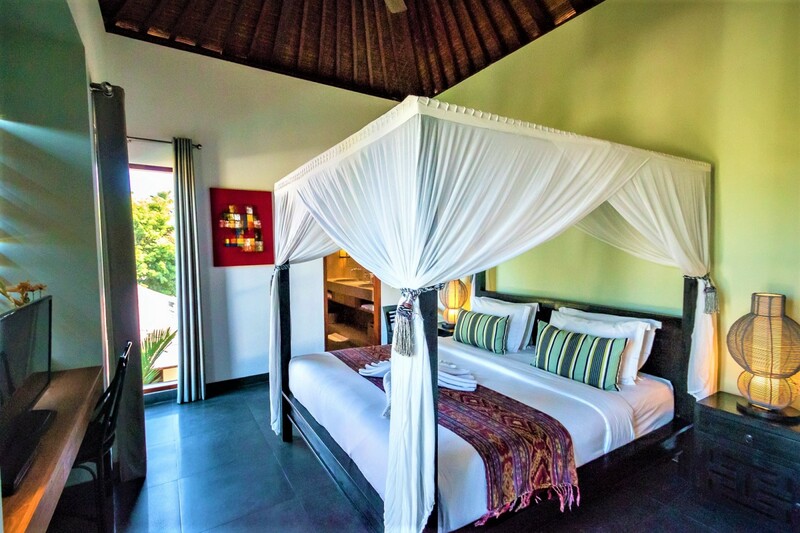 Balinese artifacts and plush bedding incorporate vibrant color into every room. Villa Abakoi, not only provides you with a majestic home full of tranquility but it is also in the optimum location for you to enjoy the surrounding area full of culture and new experiences. 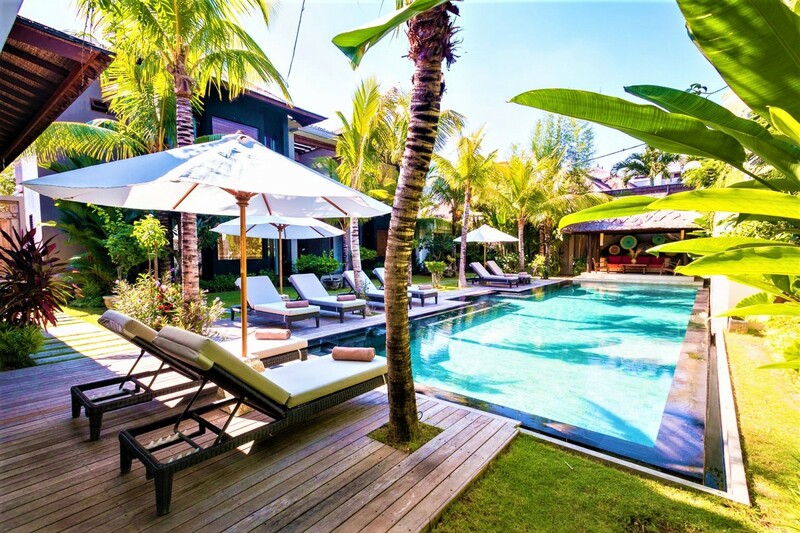 It is based in Seminyak, situated slightly off Jalan Drupadi making it very close to fine dining restaurants and cafes, the most prestigious colorful shopping outlets and gives you your own choice of renowned beaches such as Seminyak beach (a short ten minutes’ walk), Petitenget and Batubelig. 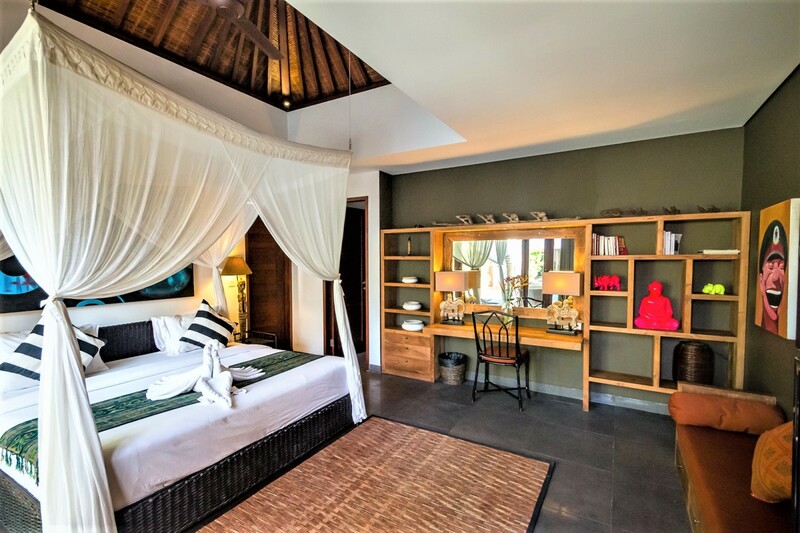 Villa Abakoi in Bali is the ideal location for you to enjoy a vacation of a lifetime. This incredible place evokes thoughts of paradise. It's more than a place to visit. It is more than a family getaway. 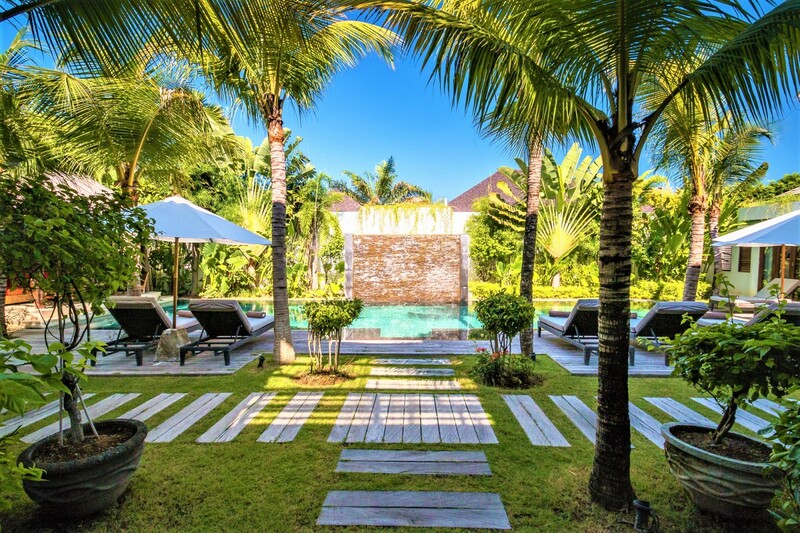 It is an aspiration, a tropical state of mind and a place you will experience a true, exceptional Villa, Villa Abakoi. 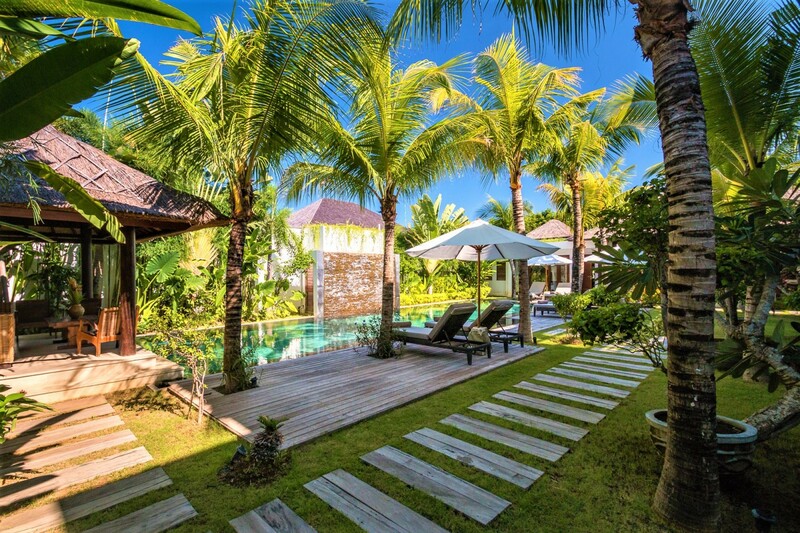 Villa Abakoi is embedded in the majestic area of Seminyak, in Bali, Indonesia. This tropical utopia offers you an exceptional holiday amidst the vivacious tropical plants and the serene ambiance this location provides. Villa Abakoi is in the optimum setting for you to enjoy the surrounding area full of culture and new experiences. 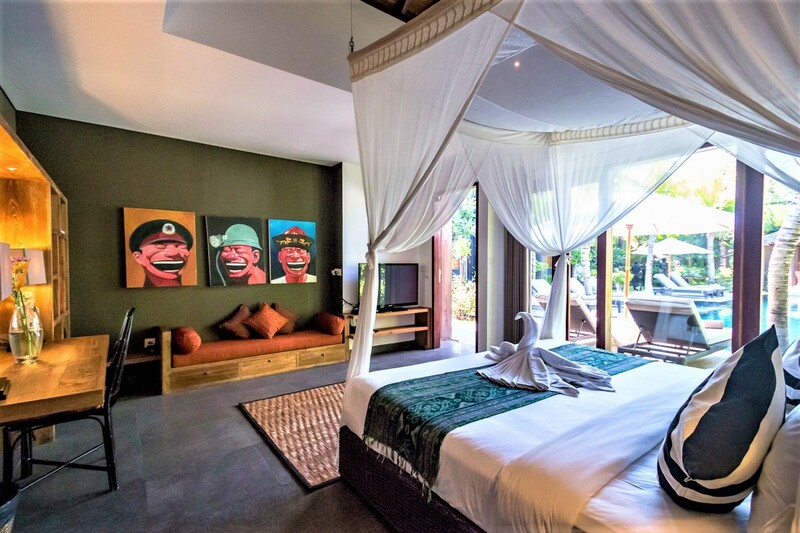 It is situated slightly off Jalan Drupadi making it very close to fine dining, the most prestigious colorful shopping outlets and a variety of renowned beaches such as Seminyak beach (1.5km), Petitenget(2.5km) and Batubelig beach (4km). 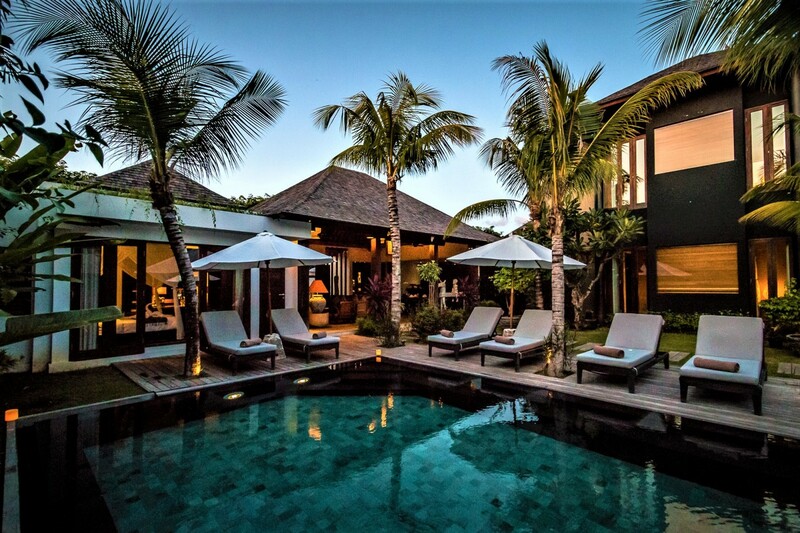 When you arrive at Ngurah Rai International Airport (DPS) your personalized concierge team will provide you with a transfer from the airport to Villa Abakoi (12km). The drive will take approximately forty minutes. There are a variety of things to do here in Bali that is very different and quirky. There is a lively waterpark that is 7km from your villa, Waterbom Bali. It has water rides for all ages, plus restaurants, a large food court, and a swim-up bar. If you wish to have a taste of the Indonesian culture, then why not visit the town of Ubud (30km). Situated in the majestic uplands of Bali, this area is well known for its traditional crafts and dance. The District’s rainforest and terraced rice paddies, dotted with Hindu temples and shrines, are among Bali’s most famous landscapes. Ancient holy sites include the most captivating and intricately carved Goa Gajah (“Elephant Cave”) with its rock-cut shrines. 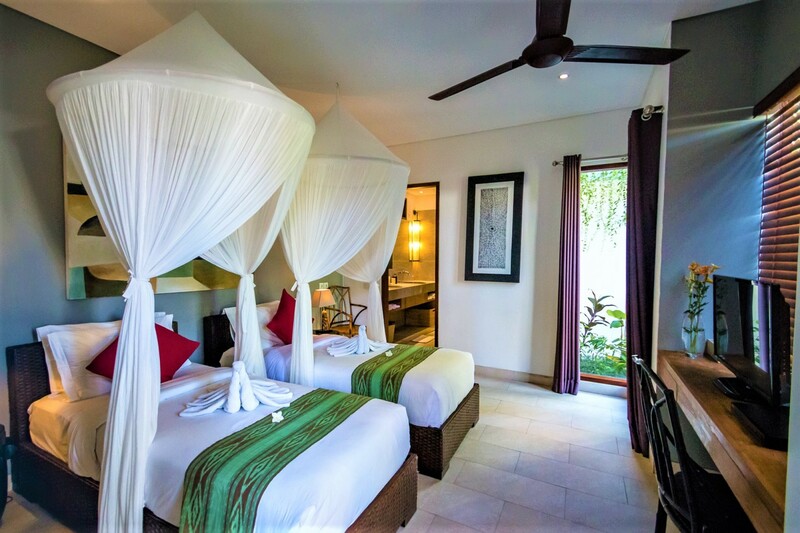 For more leisurely activities then you can visit Nirwana Bali Golf Club (17.5km) or the Safari & Marine Park (32km). 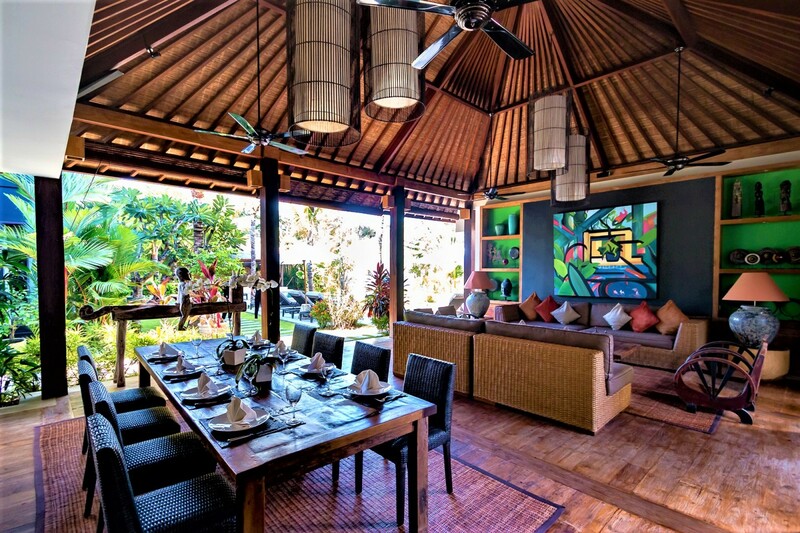 If you are looking for some fine dining restaurants in the evening, then villa Abakoi is located at the perfect private area which is ideally situated within walking distance to the famous Eat street, Laksmana, where you can find delicious cuisine in restaurants such as La Luciola, KuDeTa, and many others. Bedroom 1 Master: The Master bedroom is fitted with a comfortable king-sized bed, private En-suite, Standalone Alfresco Rainfall shower, Large bathtub, Dual vanity, Spacious walk-in closet, High-resolution television, DVD Player, Air-conditioning, Ceiling fan, direct and easy access to the private pool area. Bedroom 2: Comfortable Queen-sized bed, private En-suite, Standalone Alfresco Rainfall shower, Dual vanity, High-resolution television, DVD Player, Air-conditioning, Ceiling fan, secure safe. 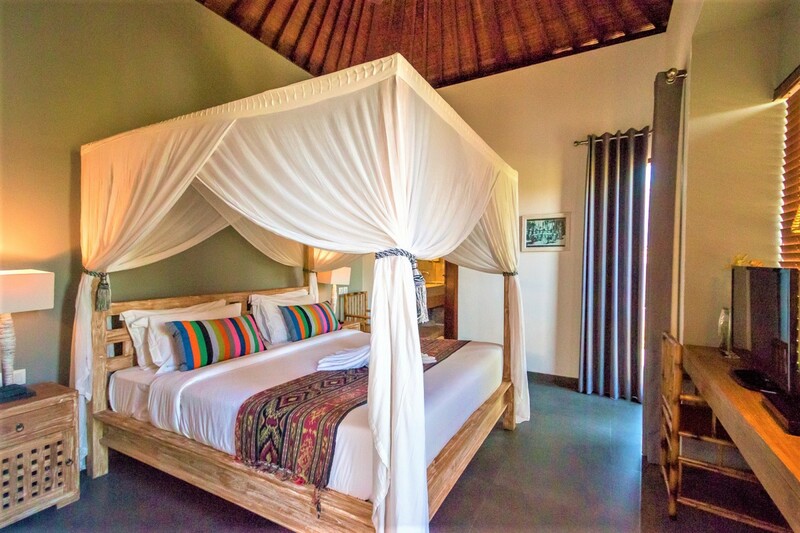 Bedroom 3: Spacious Twin beds (can be converted into a king-sized bed), private En-suite, Standalone Alfresco Rainfall shower, Dual vanity, High-resolution television, DVD Player, Air-conditioning, Ceiling fan, secure safe. 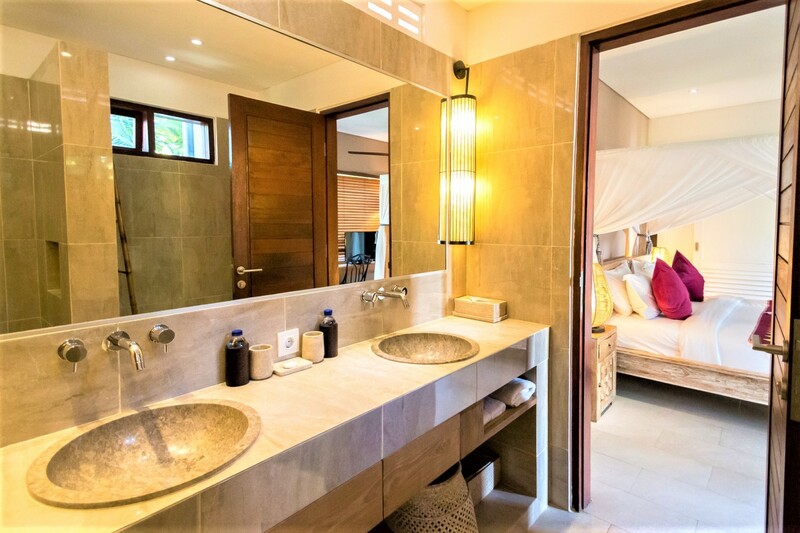 Bedroom 4: Luxurious Queen-sized bed, private En-suite, Standalone Alfresco Rainfall shower, Dual vanity, High-resolution television, DVD Player, Air-conditioning, Ceiling fan, secure safe. Bedroom 5: Luxurious Queen-sized bed, private En-suite, Standalone Alfresco Rainfall shower, Dual vanity, High-resolution television, DVD Player, Air-conditioning, Ceiling fan, secure safe. Bedroom 5: Comfortable Twin over double size bunk beds, private En-suite, Standalone Alfresco Rainfall shower, High-resolution television, Air-conditioning, Ceiling fan, secure safe.